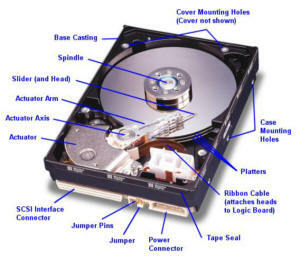 Now-a-days most of us have a common problem with their hard drive. Which Suddenly crashes without any notice and warnings. When it corrupts we have no other choice left other than to give it to service center. The saddest thing about this is that we lose all our data which is collected from days and get a fresh formatted hard drive from the servicing.Wondering how to protect your hard disk? Read on! 1) Error Scan which shows the speed map and scanning range. 2) Erases data securely which you dont need. 3) You can change power settings when doing a performance test on the drive. 4) Shows the negative CPU usage which can be fixed. 5) Fixes the compatibility issues of the Nvidea drivers and USB Sticks. 6) Erase function and lot more. 7) Works on all types of Hard disks. 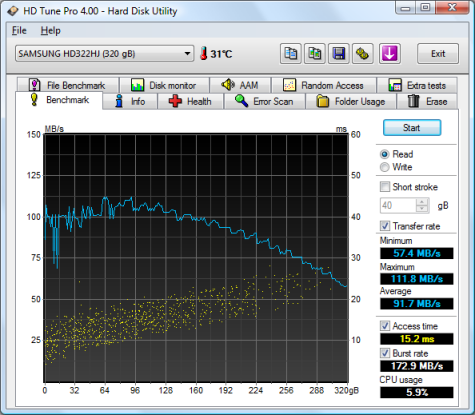 I have started using the HD tune software which is simply the best among all the available softwares. You can download the trial version of HD Tune which was released in May 2010 with version HD Tune Pro 4.50 and also visit their official website. Seagate Hard-disk Online Warranty Procedure.